Palo Alto, California - ClickBerry, a Palo Alto-based company that develops interactive video software, announces the launch of their free interactive video enhancing tool, ClickBerry for Facebook. 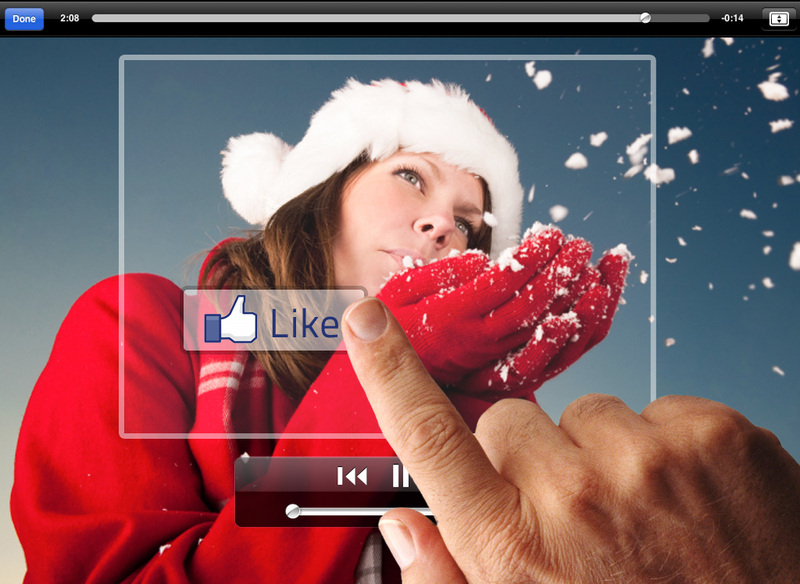 ClickBerry for Facebook instantly turns videos into an interactive experience unlike any other. 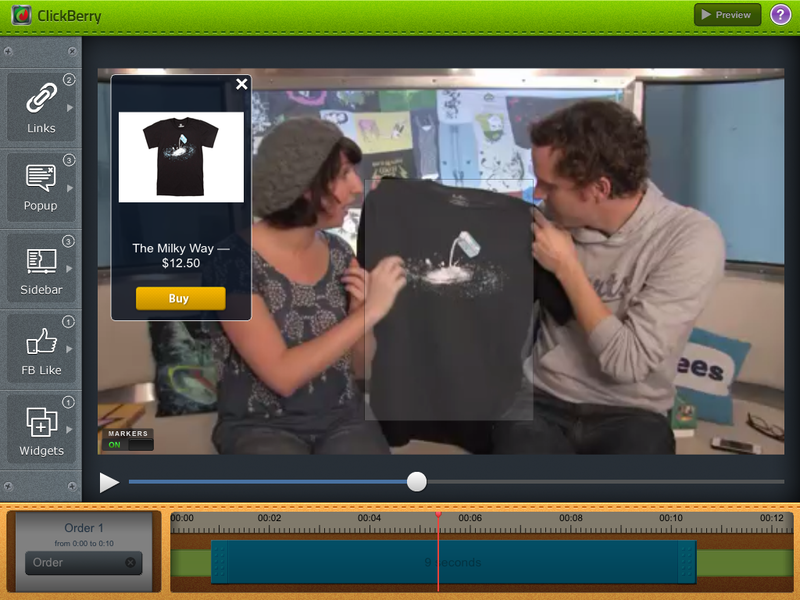 The technology behind the app makes any object inside a video interactive and clickable. Users can take a new or existing video and embed comments or links within it to make the content more engaging and and fun. The app also lets users add a "Like" option to individual elements, such as their favorite guitar or coffee cup, and instantly share it with a single click across Facebook, Twitter, blogs and mobile devices. ClickBerry for Facebook is perfect for any content creator who wants to enhance the video viewing experience of their audience. Creative marketers can use the app to link separate objects directly to a page on a vendor's website or social media outlets. ClickBerry's applications for e-commerce allow businesses to use a shopping cart widget and link purchasable items in a video directly to a point of purchase. Educators from all backgrounds can add pop-up annotations to objects in their videos or photos with in-depth information about the person, location, or even the item being discussed. The app can also be used by artists and entertainment outlets, allowing bands, venues or galleries to embed performance videos with links to ticket sellers. "Videos have always been one-way streets, with non-interactive viewing and limited ability to communicate. We hope ClickBerry for Facebook will completely redefine the boundaries of dynamic social video, and video consumption in general," states Alex Babin, CEO of ClickBerry. 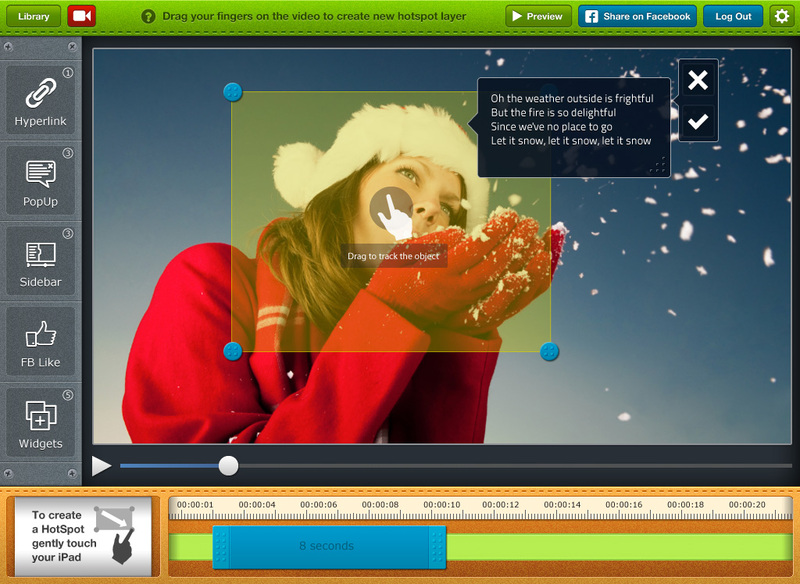 "ClickBerry is really extending the limits of what businesses and individuals can do with their video content. Where once audiences viewed online content passively, they now have the power to fully interact with videos in a social manner. Likewise, content creators now have a direct line to court an untapped market of consumers." 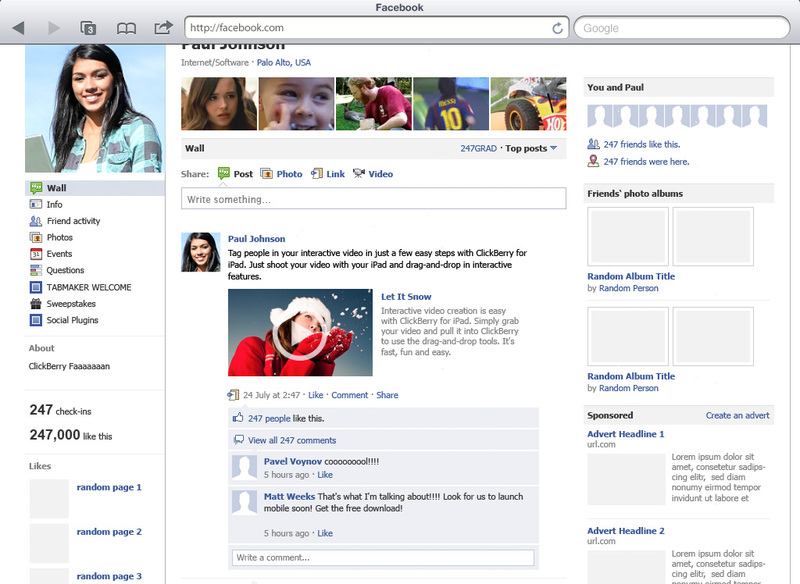 ClickBerry for Facebook 1.1 is Free and available worldwide exclusively through the App Store in the Social Networking category. ClickBerry is a Palo Alto-based company developing interactive video software. Our current solutions enable content creators, publishers and brands to bring exciting new interactive experiences to consumers, including social video, in-content commenting, discovery and mash-ups, and group conversations with friends. ClickBerry is a member of the prestigious Microsoft BizSpark One elite group of companies, and won the People's Choice Award at the July 2011 European BizSpark conference in Brussels. Copyright (C) 2012 ClickBerry. All Rights Reserved. Apple, the Apple logo, iPhone, iPod and iPad are registered trademarks of Apple Inc. in the U.S. and/or other countries.